THREE DAYS OF PHISH!!! 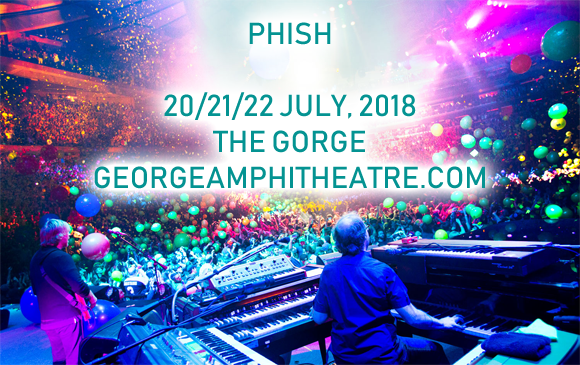 Inimitable improv kings Phish will perform at the Gorge Amphitheatre on Saturday 21st July 2018 for the second in a three-day run! For years, the Phish phaithful have traveled in their droves to see this incredible band at this landmark tour stop and 2018 will be no different! Will you be there for this unforgettable show…?